Songs: During the Rapture; Crown Him King; Wedding Music; Alone in the Garden; I’m In the Shadow; God Delivers Again; Miracles Will Happen On That Day; Who Am I; John the Revelator; Sin Will Take You Farther; You’re Gonna Live When You Die; Far Above the Starry Sky. 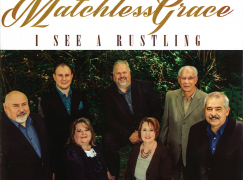 Try assembling an all-star quartet of current Southern Gospel vocalists. Consider both individual talent and ability to blend. 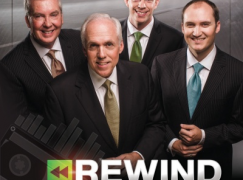 There’s a decent chance you end up with a vocal lineup of Chris Allman, Rodney Griffin, Mark Trammell, and Pat Barker. One of the most striking aspects of Renewed is the group blend. It’s as tight as expected on the mellow forgotten gem “I’m In the Shadow,” but it’s just as tight and even more striking on the energetic convention song “Crown Him King.” But it’s the sort of the blend that makes it striking. You expect a tight blend from voices of a similar timbre (think Swanee River Boys, Isaacs, or Brady-era Booth Brothers). This is a far rarer sort of blend, a Crumpler-era Statesmen sort of blend. It’s the sort that is only achieved by voices of four very distinct timbres, employed by masters in the blending craft. Renewed includes many Cathedrals songs. But with the exception of “Wedding Music,” a song so popular live that it simply had to be included, most of the rest are forgotten Cathedrals gems. There are also two new songs and several songs from other artists. The best of these is “Alone in the Garden”; Mark Trammell was a member of Gold City when they recorded it in 1997. 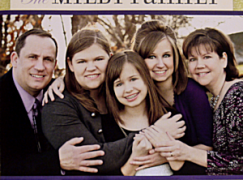 Many Southern Gospel fans prefer familiar songs in familiar arrangements, sung by familiar voices. If this is you, the Second Half Quartet’s new release Renewed is the must-buy album of the year. Review copy not provided (nor requested). I think they had been an unofficial Cathedral Quartet tribute group up until this point. A couple of new songs and a couple of classics from other groups help give them their own distinct identity. My copy is in the mail. It should actually be in my mailbox right now since I ordered it last Monday. I heard several of the songs from this CD at the Memphis Quartet Show today and bought the CD right after the show. Thanks for your review right as I needed it, Daniel!! You’re welcome! But I will say that if you heard them live you probably heard everything you needed to know to know that this is worth purchasing! A friend who heard the Blackwood Brothers live pre-plane-crash said the Second Half Quartet has an electricity on stage that rivals that lineup! But I’m guessing the chance of them going full time is pretty low. Would mean ending the careers of two high profile singing groups. 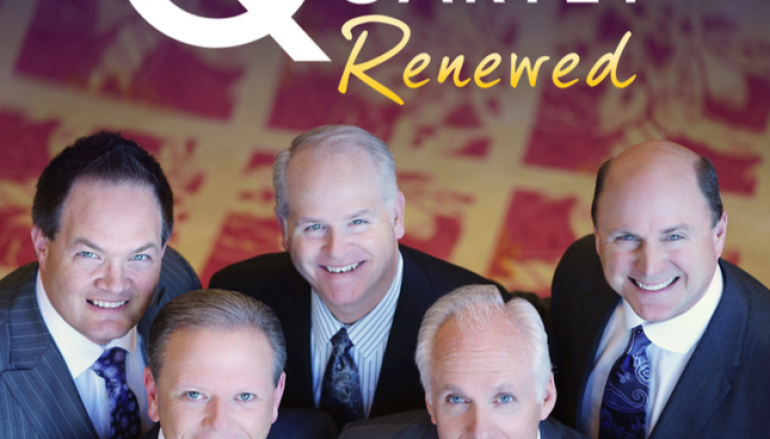 Seems to me like both Greater Vision and the MTQ have a good thing going right now. So people get to continue to enjoy the Second Half Quartet for what they are: a very good part-time group. Yes, I anticipate that they will stay part-time, even if they have the second-best or best live show in the genre. There’s a difference in hearing the pre-crash BW Bros as opposed to seeing them and I would say one is 110v and the other is 220. 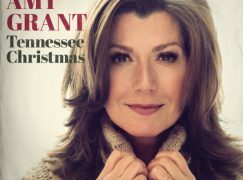 Yes, that’s what I’ve been told – though as someone who didn’t hear my first Southern Gospel project until exactly fifty years later, my experience there is sadly secondhand! 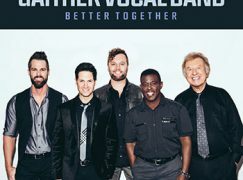 This group is our modern day Masters V. Traditional songs, old songs, classic harmonies….I guarantee you that is what the bulk of quartet fans out there want to hear from 2HQ. This album is another winner.